Dr. Coralee Thompson wears a chef’s hat (or toque blanche in French) and cooks at the Oracle Community Center for an OWN Oracle event. Family Physician, Dr. Coralee Thompson recently joined the team at the Oracle Sun Life Family Health Center. Although new to the clinic, she is not new to the Oracle community. She moved to Oracle 10 years ago and has been active in the community ever since. 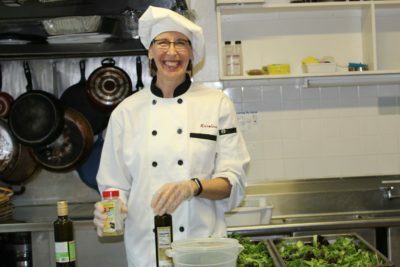 “I love the Oracle community,” she said while dressed in a chef outfit serving her version of red lentil dal, green salad, and coconut chia pudding for OWN Oracle’s community dinner. In addition a toque blanche, she has worn many other hats throughout the years. Her first significant hat was her nurse’s cap donned in 1982 and then on to medical school in 1985 at the University of Washington in Seattle. In 1988, she put on a mother’s hat when her first son was born. She graduated with her medical degree in 1989 and completed a family medicine residency from Fairfax Family Practice, Medical College of Virginia in 1992. After two years in Cairo, Egypt, she became the medical director at the Institutes for the Achievement of Human Potential where she worked with families of special needs children with neurological disorders, focusing on nutritional medicine. 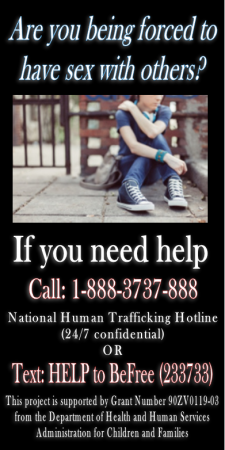 Since 2008, she has continued this kind of work with the Family Hope Center, traveling twice yearly to Denmark. Co-author of Healthy Brains, Healthy Children, released in 2009, Dr. Thompson enjoys sharing her love for cooking, gardening, and healthful lifestyles with all of her patients of any age. In Oracle, she is known to cook up and serve tasty, colorful, and fresh salads, soups, desserts, and appetizers. Passionate about music, both as a performer and consumer of live music, she is the current Chair for the Oracle Piano Society and enthusiastically promotes classical and community concerts at the Oracle Center for the Arts. She sings in several choral groups, Voices in the Oaks Chorale, Oracle Union Church choir, and Tucson Masterworks Chorus. She also has her own solo album called Coralee, all songs written and produced by her former partner, Dr. Phil Maffetone. In addition to the Oracle Piano Society, Dr. Thompson contributes to and volunteers for the Oracle Community Center, OWN Oracle, Oracle Visitor Center, and Oracle Community Learning Garden. 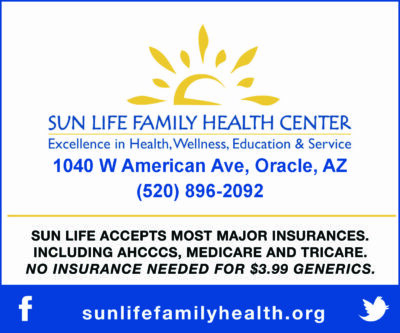 Coralee started working at Oracle Sun Life Health Center on March 1 and is available on Fridays from 8 am to 5 pm. She says, “If you end up in my office, you can count on hearing about eating healthful food and exercise” as she believes that nutrition plays a powerful role in one’s health. John Hernandez lives in Oracle. He is retired and enjoys writing and traveling. He is active in the Oracle Historical Society. He covers numerous public events, researches historical features and writes business/artist profiles.